In a quiet & convenient location stands this practical & private three-bedroom townhouse. If you are in the market for an amazing first home or sensational investment opportunity, Maria Drive is a wonderful start. The top level features a great master bedroom which is spacious in size & provides a walk-through wardrobe that leads you to the full ensuite. 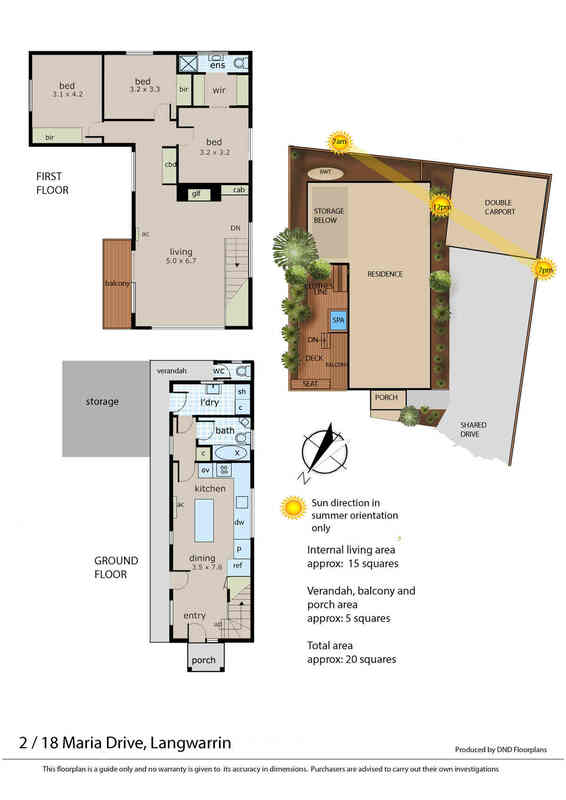 All further bedrooms are positioned away from the master & also share access to the large family lounge room. The ground floor hosts a beautiful kitchen that presents S/S appliances, plenty of cupboard & bench space, black stone bench-tops & island with breakfast bar. Flowing on is a generous dining space that steps outside through sliding doors. The highlight of the home focuses around the impressive decked & undercover entertaining space. This zone allows amazing entertaining options with built-in bench seat & spa bath for the ultimate in entertaining. In an established pocket, this home is close to an outstanding amount of Langwarrin’s amenities. These include Langwarrin Park Primary School, public transport, Peninsula Link, Southgateway Shopping centre, Langwarrin Plaza, Lloyd Park & much more.